Eid is a day of joy and celebration for the whole Muslim community all over the world. It is the day when Muslims celebrate the end of the holy month of Ramadan, where you fast from sunrise to sunset. The day following the night when the new moon is sighted is when Eid-ul-Fitr is celebrated. Ramadan is one of the five pillars of Islam and in this month, every individual who fasts is reminded of the fact that fasting is a test of spirituality and good will. Fasting from sunrise to sunset for the whole month is not an easy task, and when the assessment period ends, it is time to celebrate; just like a party thrown after a huge success. Commonly a typical fast in the UK for the Muslim community is 18 hours. On this day, a public holiday is announced in all Muslim countries and people dress up, eat and enjoy their day before going back to their daily routine of work life. 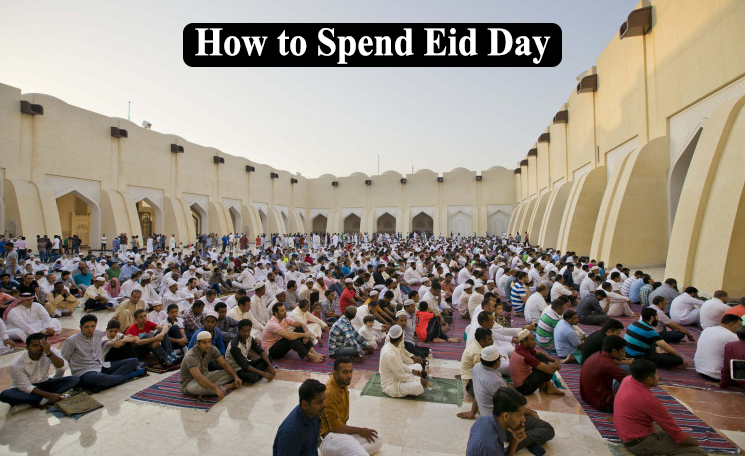 Traditionally, there are 3 holidays for Eid where the day begins with a ritual prayer in the mosque where all the men and kids gather to offer Salah in the early hour of the day. Before the Salah, “Fitrana” is given out to the poor people you meet on your way which is obligatory. Typically, in the UK, there is only a one day holiday but people and children take time off from work and school to enjoy the festivities and celebrate this day. After the prayer, there are greetings held three times which hugging individuals three times as a sign of greeting does. Children often get gifts from their parents, relatives, and elderly on the day of Eid which is typically in the form of money. Thus, children really look up for this day to get a lot of money and then compare how much they got with their friends and cousins. Eid makes shopping a necessity and gives a reason for women to shop. But, not only is it limited for women but is also advisable for every Muslim in the world to wear new or the best clothes he/she has on this day of celebration. The girls get their hands filled by henna/mehndi and shop for jewelry, and new clothes to look the best on this day. On the other hand, boys typically go out with their friends to do their Eid shopping of buying new shoes and clothes. Special and delicious dishes are cooked in every household alongside sweets, typically vermicelli which is a signature dish for this day. Many people even send the sweets made at home to their neighbors and family members who live close by. However, the dishes vary for every household depending on their culture and where they belong; for example, Bangladeshi people make biryani and Turkish people make lamb seekh kababs. After the typical breakfast, the rest of the day is spent meeting and greeting people, attending get-togethers and parties to rejoice in the happiness of this day with other Muslim friends and family member. It is advisable to meet your family and neighbors and greet them for this day. Every Muslim looks up to this day after the end of Ramadan as it is time for celebrations! Umrah is a sacred journey to Makkah and not mandatory in Islam religion but Umrah is very important in the life of Muslims. 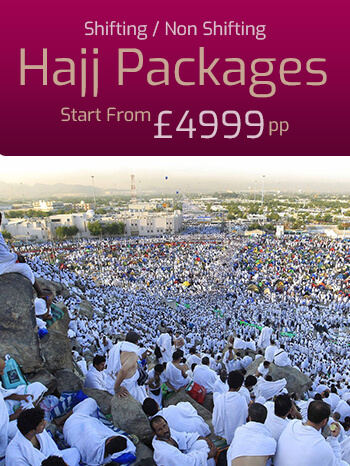 With aim to provide the pilgrims with the best and complete Umrah services, we now offer our customers best December Umrah deals. So you don't miss a chance and visit us to get the deals.